Here’s the harsh truth about any marketing: there’s no magic switch you can flip to turn it “on” and make it start working immediately. Marketing with content is no exception to this rule. Content marketing results happen slowly, and they happen over time. If you do it right, you’ll create content that continues to send you new prospects and customers for many years after you created it. If you do it right is the operative phrase here. You set out to create content that attracts leads to your business. It sort of works. Then you hear about some new content marketing technique that promises to “revolutionize your business.” Maybe it’s infographics. Or SlideShare. Or webinars. Or Facebook ads. Or even marketing automation. So you set out to learn this new thing. Because it’s #amazing. Right? It’s the thing that’s going to transform your business! While you’re learning the new thing, the old reliable things are stagnating. That solid, effective content you could be creating gets ignored and abandoned. 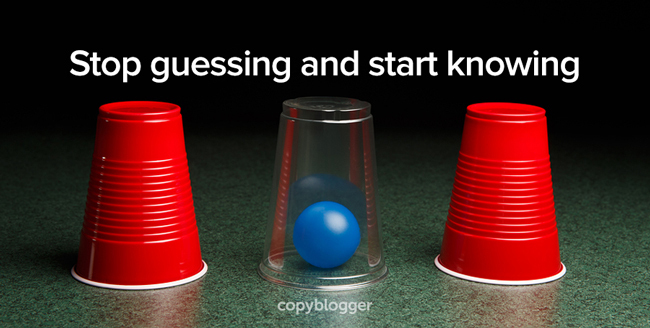 When you don’t know what really works, every new content marketing technique that comes along is a distraction. Every new tool takes time and energy to learn. In the meantime, you’re guessing at what will work. You don’t have time to investigate every claim, so you take a guess at what you want to try next, and you dive in. What if you had a team of people sorting through the latest content marketing information for you? A team you trusted. A team whose skills you admire. And what if that team packaged up their best information and delivered it to you every Friday for an hour or so in a fun, informative, private session? And what if they gave you time to ask questions and get answers that are specific to your business? Authority is our advanced content marketing training program. It’s where we present everything we’ve learned from the front lines of content marketing in a format that shows you how to apply it to your own business. Once a month, we dive deep into a specific content marketing topic to help you master it so you can use it in your own business. In addition to an in-depth webinar presentation, you’ll get downloadable materials that will help you apply what you’ve learned. Last fall, we started something new. We began hosting Authority Business Coaching sessions every month. Authority members fill out a simple application and we select one person to sit in our friendly “hot seat.” The member gets targeted advice to help them solve a business challenge. Since many of us have similar business challenges, every member benefits from lessons shared during Authority Business Coaching sessions. That’s why they’re our most popular new content on the site. Members love them, and you will too. Ever wish you could ask Rainmaker Digital staff a specific business question? Here’s your chance. Every month, Authority hosts a live Q&A session where you can submit your question and get it answered by members of the Rainmaker Digital team. We’ll provide guidance, resources, and recommendations to keep you moving forward with your content marketing and your business. On the last Friday of the month, we invite a successful business owner to drop by and share their “secret” tips for how they’re using content marketing to grow their audience and their profits. You can attend live, ask them questions, and learn from their successes. The latest bonus session? “How to Style a Post,” where I walk you through a step-by-step process to make your content look friendly, inviting, and readable. It’s not easy to do what we all do: we’re juggling marketing our businesses with running our businesses. Or we’re looking for new ways to attract an audience for our employer. Either way, when we talk about work with our friends and family, we get the big, blank stare in return. One of the best aspects of our Authority program is we’re all in it together. We’re a community of content marketers and business owners. We’re writers, coaches, artists, engineers, bloggers, designers, developers, teachers, financial consultants … you get the idea. We’re a diverse bunch. But we’re all using content marketing, and we’re all getting really good at it. What that means for you is that when you join us, you’re joining a wide-ranging group of smart people who will “get” you. We’ll understand your jargon and your challenges. Even better, we can share what’s worked for us so you can learn. We’re on the front lines of the content marketing world. We stay up to date so you don’t have to. We bring you everything we’ve learned so you can feel confident that you’re applying industry best practices to your marketing efforts and your business. In addition to our ongoing education, Authority boasts a substantial archive of valuable content designed to help you in almost any aspect of your business. You’ll find more than 250 hours of education from people like Brian Clark, Chris Garrett, Pam Slim, Darren Rowse, Chris Guillebeau, Laura Roeder, Jon Morrow, and many more. This is one archive you’ll want to get lost in. There’s no risk to joining Authority: our 30-day money-back guarantee means you can join and begin benefiting from the knowledge and the community right now. If you discover you don’t want Authority, let us know within 30 days and we’ll refund your purchase no questions asked. The Q&A calls are worth the price alone. Hi, I do have a question. I’ve been struggling in structuring an online marketing srategy. It seems Authority is a great trainign but it seems is an ongoing education, not so much like a plan I can follow or a course that can help me build a strategy. I hope I explain my self in my question and can get an answer. Diego, Authority is a combination of ongoing education and archived sessions on a wide variety of topics. The plan that will work best for you is going to depend on the type of business you’re running. I am really interested in joining Authority program to get connected with the community. Q and A section is the one which is exciting and love to hear the problems from other content marketers. I just have a question, you guys have not posted the price attached to this program? Jenny, we have members from all around the world, with lots of people from the UK. Every session is recorded, and replays are posted within a few days of the live session. You can watch them whenever it’s convenient to you, and pause them, take notes, and re-start. Totally flexible. I’ve been giving serious consideration to Rainmaker Standard and know that that subscription includes access to Authority. If I go the Rainmaker route, would I still be able to be part of the new Authority cohort model you described in last week’s webinar? Same January 24 deadline? 1) I write all my content in Dutch. Will this be a problem? 2) Also, will Authority help me to improve my blog writing? Specifically by me coming up with ‘hot’ subjects for my readers’ and a standard system (format) for writing my blogs faster’? Great question, Harry. The good news is that you won’t be alone: we have several members from the Netherlands already inside Authority! Some of them write their content in English and some in Dutch. They have been able to take what we teach and apply it to their websites either way. You might be interested in a session I offered recently called “How to Create One Amazing Blog Post Every Single Week.” It details a system I’ve used for years that helps me write faster … and you can apply it even if you publish more often than once a week. I hope to see you inside Authority: thanks for your question. Awesome idea! There are tons of us out there who don’t really know what we’re doing when it comes to content marketing. In fact, most of us don’t even like it because the industries that we are marketing in seem “boring.” Therefore, it’s quite the hassle to have to come up with ways to market to those audiences. I think this program could be just what my staff needs! Thanks.